Your University Bookstore partners with faculty to carry the required course materials you need for your success. We offer books in several options; traditional NEW and more affordable formats such as USED, RENTALS, and DIGITAL. 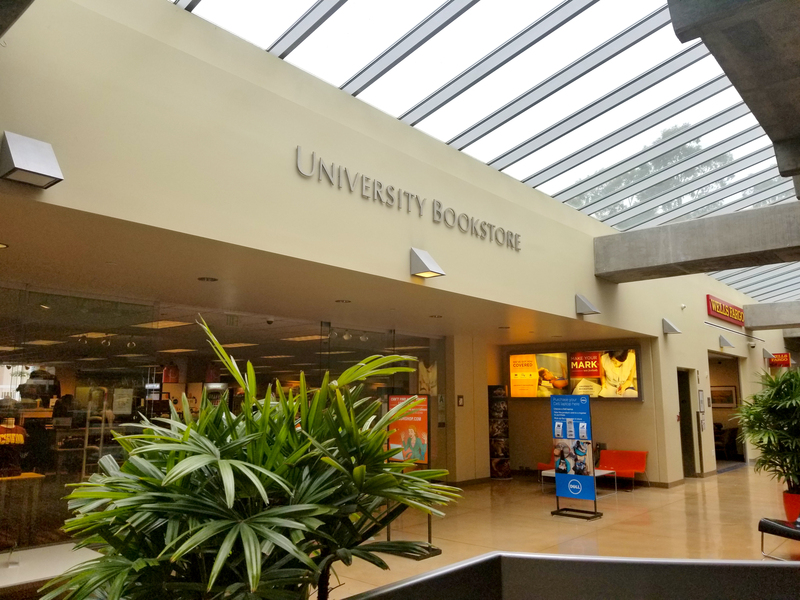 The Bookstore does not just sell books, we are your full service campus hub providing everything from snacks to health and beauty to the latest Toro Gear and gifts! We are your one stop shop for all things CSUDH. Go Toros!! Sell your used books everyday! The best time is during the week of finals! Get the most cash when you sell a book that will be used again in the next semester. All titles are subject to condition and national demand. Order your books online and pick them up in-store or ship to your door! CSUDHshop.com is networked to 100’s or stores nationwide to get what you need, when you need it! Bookstore gits cards as well as popular cards such as Uber, iTunes and Starbucks are available. Shop www.csudh.bkstr.com for academically priced Dell, Hewlett-Packard and Apple Computers, as well as over 6,000 software titles discounted up to 80%. Non-textbook items may be refunded or exchanged within 30 days of the sale with the original receipt if the merchandise is in salable condition. Items such as Electronics, CDs, DVDs and Computer Software must be unopened if returned. Law & Nursing Reviews and Study Guides are not returnable. Gift Cards are not returnable. All returns or exchanges require a receipt. A full refund will be given on textbooks for a one-week period beginning the first day of the term. Textbooks for courses dropped in the add/drop period may be returned by the add/drop date with drop slip and receipt. Textbooks purchased after the first week of classes are final sale. Personal checks are accepted with proper identification and your name and address printed on the check. We also accept Visa, Mastercard, American Express and Discover. Textbooks and course materials are available and may be ordered through the University Bookstore via phone: (866) 342-5943 or e-mail: bookstore@csudh.edu; or online at the University Bookstore website.